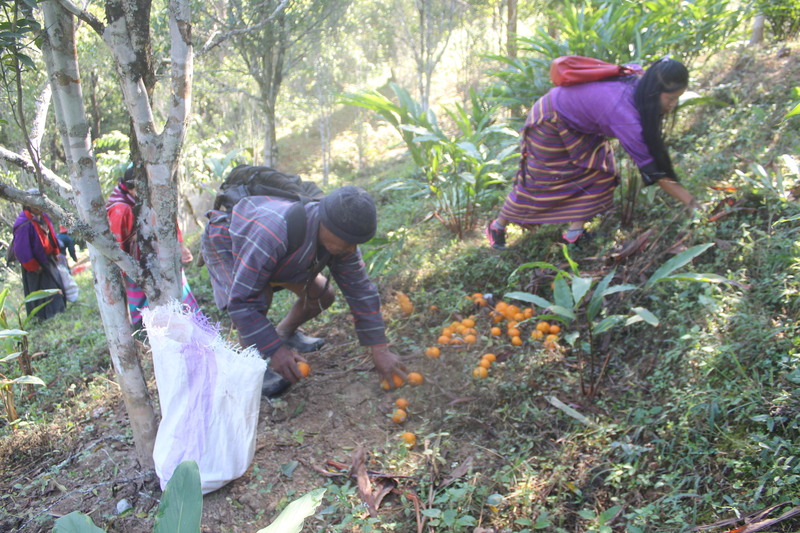 The National Plant Protection Centre in collaboration with the Dzongkhag Agriculture Sector of Dagana carried out two days campaign on Citrus Fruit Drop Collection and Destruction at Drujagang gewog, Dagana on 17-18/11/2016. 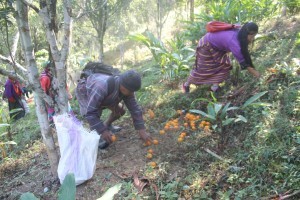 On the second day, participates were taken to the orchards to get the view of citrus fruit drop in the gewogs in this season. Participants were divided into two groups and undertook field work led by the technical staff. 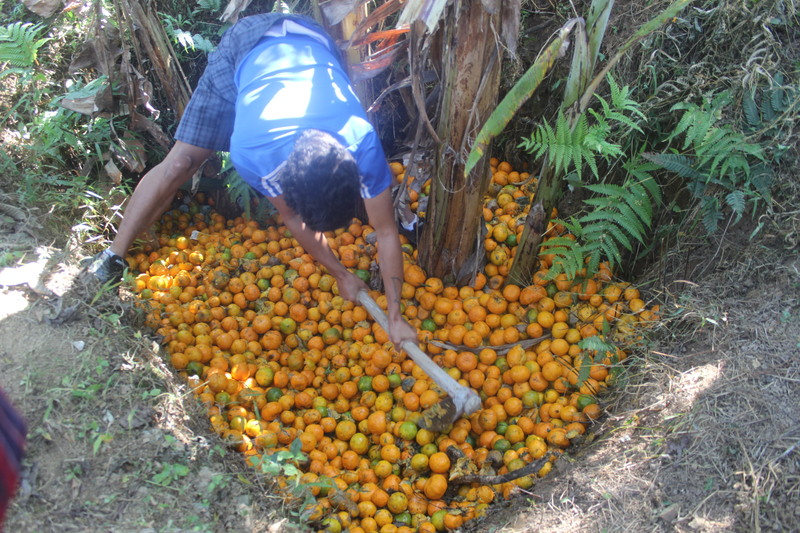 Thereafter, collection and destruction of dropped fruits were initiated in the selected orchards. 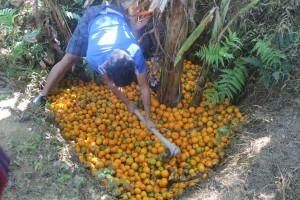 Approximately 2-3 MT of citrus fruits were collected from an acre of orchard. It indicated that there is high degree of fruit drop this season. 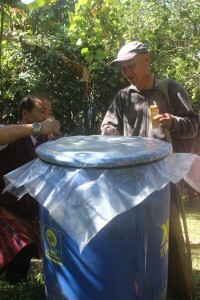 In addition, trial on “Fermentation Method of Citrus Fruit Drop Destruction in Drums” was set up in the field. Dropped citrus fruits were collected in the drum with chopped Artemisia and other green materials and covered with tight plastic to ensure fast anaerobic respiration . The liquid content after complete decomposition will be collected, tested for its pH and explore its use as liquid manure. The trial is under evaluation in two orchards and was established as part of the campaign. 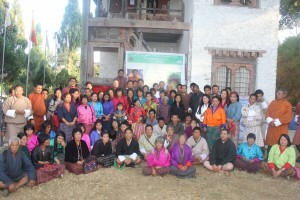 Campaign drew 109 participants including farmers and the local officials. 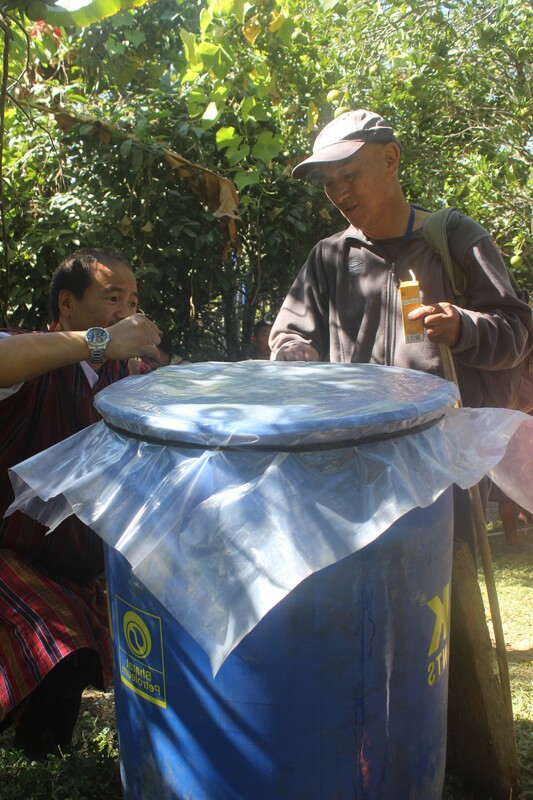 Agriculture Extension Officers from five gewogs namely Largyab, Tsangkha, Tsendagang, Gozhi and Dorona also participated in the campaign to get an idea of replicating it in their respective gewogs.